Includes New Cross Brace to stop internal Flex at high revs. Fully Hard Anodised in Red, Black, Blue or Silver. Fully fit and forget unit requires no servicing. 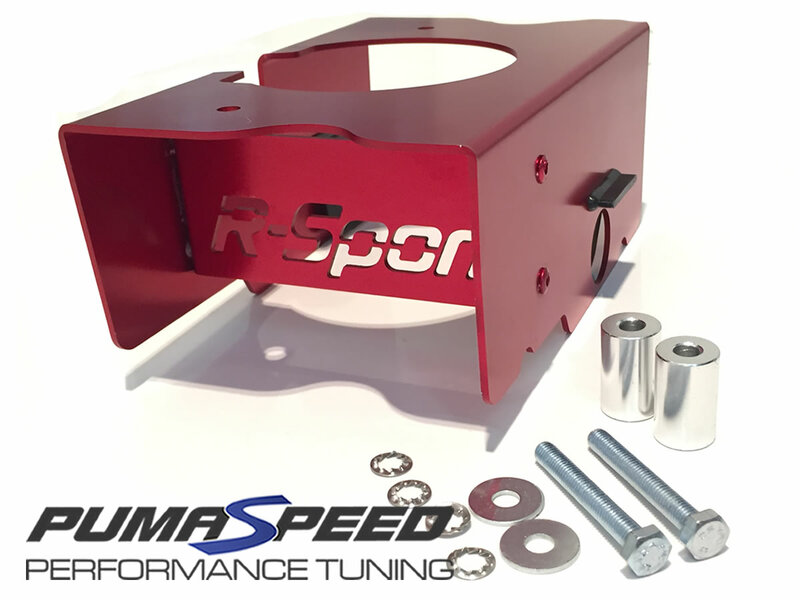 The Innovators at R-Sport have taken the ST180 Fiesta Sump Baffle to another Level. Not only has it the usual side to side oil control plates, but this unique and well thought out design has a single dual purpose Cross Brace that helps stop fore and aft oil movement whilst assisting to fully stabilise the two Lateral Plates at high load and extreme revs. No other Sump Baffle has this unique feature. The unit is also fully hard Anodised in a choice of 4 colours to resist all types of attack from oil contaminants. This trick piece of engineering slips easily and neatly into the 1.6 EcoBoost sump of the Fiesta ST180 or ST200. The Lateral plates will keep your engine oil where it needs to be when cornering. Severe cornering loads can force the oil to stray from the Pickup Pipe resulting in lack of oil to the Crank and Engine failure. This fit and forget product includes high quality Rubber Baffle Flaps as used on high end OEM applications as well as a strong lightweight fully Cross Braced Annodised Aluminium body. THIS UNIT IS ESSENTIAL FOR ALL OWNERS THAT CORNER HARD. IT WILL SAVE YOUR ENGINE FROM OIL STARVATION. PUMASPEED OR ANY OF THE DEALER NETWORK CAN FIT THIS UNIT IN AROUND 1-1.5 HOURS. The Pumaspeed Workshop team are ready to fit the R-Sport Cross Braced Baffled Sump Kit 1.6 EcoBoost in our Head Office located here. We estimate the labour time to be approximately 1.28 hour(s) costing £99.84 inc VAT. Therefore making parts and labour a total cost £204.79 (inc. VAT). Pumaspeed have a specialist distribution team that can dispatch the R-Sport Cross Braced Baffled Sump Kit 1.6 EcoBoost to any destination worldwide.